I might have mentioned that I made a cake. The first red velvet cake I made was in high school for a long ago boyfriend. I doubt he appreciated my efforts. I don't remember much about the endeavor except my surprise that it was meant to be red. Cut me some slack, okay? I was young! I think I thought the red was for the icing or something. I made it in the evening, for Valentine's Day maybe. My dad was out of town and my mom painted our sunporch as I stood in the kitchen, my eyes moving from cookbook to measuring cup. I was never very confident about that guy in the first place, and I think that cake made me less so. After that, I largely forgot about red velvet cake. I know I've mentioned before that I'm not much of a baker, and truth be told, we're not huge sweet tooths (sweet teeth?) around here either. But with my dad headed toward us for a weekend visit, Callum and I sat in the parking lot of the grocery store and got inspired. 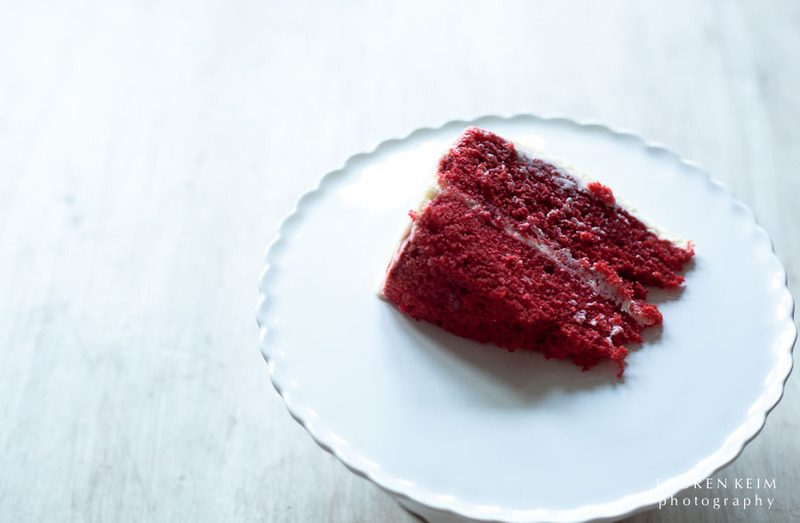 Red velvet cake is considered a quintessentially southern cake, but in truth, its origins are murky. In the late 1800s many cakes were referred to as "velvet" to describe how moist they were or how fine their "crumb." 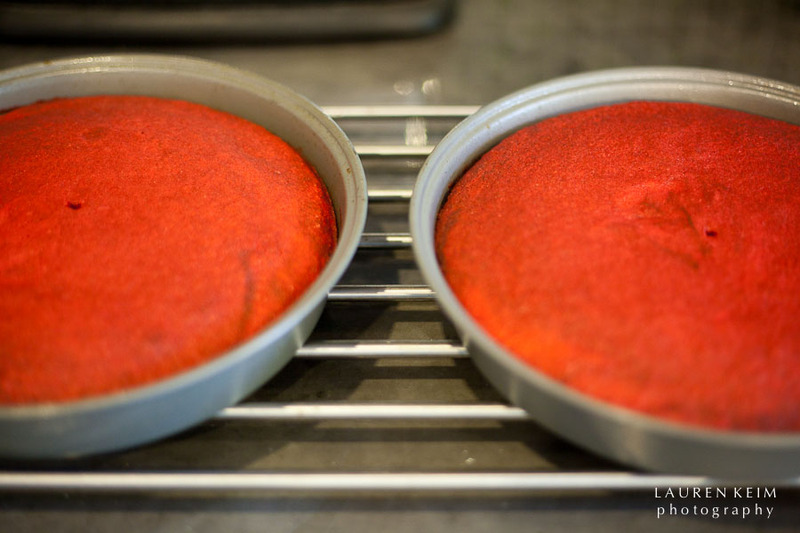 And when cocoa powder is combined with buttermilk and vinegar (essential ingredients in these cakes), it can turn red, hence the combination of red(ish) + velvet = cake. In the 1920s, New York's Waldorf Astoria had red velvet cake on its menu, and in the middle of the 20th century, Adams Extracts really turned things around for red velvet cakes. A Depression-era sales promotion including vanilla extract, butter flavor and red food coloring turned families throughout the South and Midwest onto this beautiful cake, and a role as the groom's cake in Steel Magnolias cemented its significance as a southern dessert. 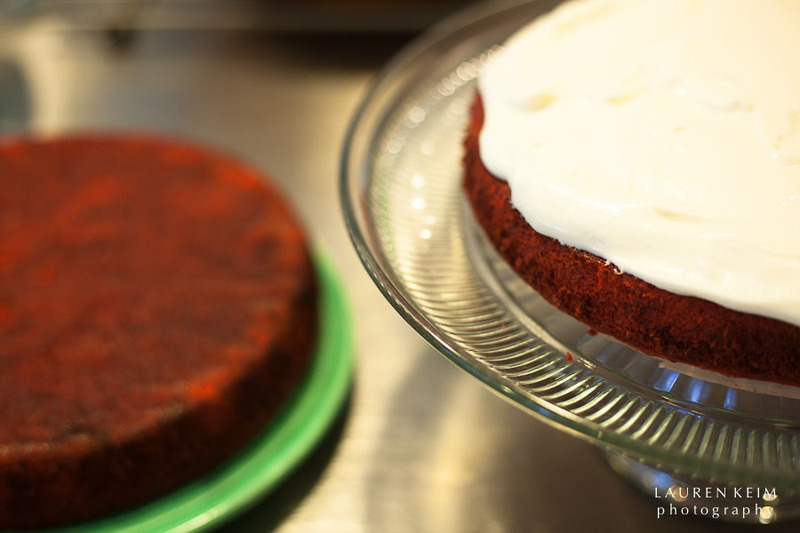 Dessert may be decadent in and of itself, but how glorious to eat a cake called Red Velvet? Still, what made this cake for me was the icing. I am not the biggest icing fan on the planet (see: not a huge sweet tooth), but this icing? Ah-mazing. I will never say "no" to cream cheese icing, but how about cream cheese and Mascarpone icing? Think you can handle that? You can find the recipe for the cake and icing in the link I provided above, but I thought I'd share the icing here. With cream cheese and Mascarpone at room tempertaure, beat together with elextric mixer until smooth. 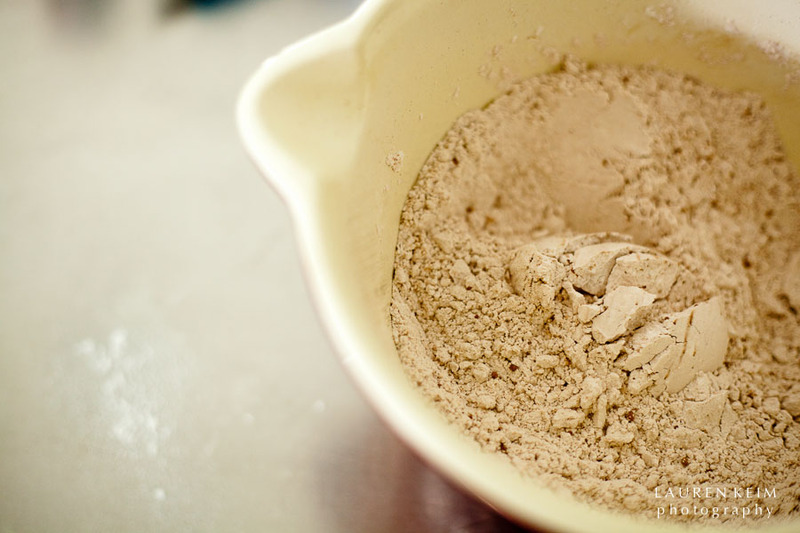 Add vanilla and confectioners sugar and beat until smooth. 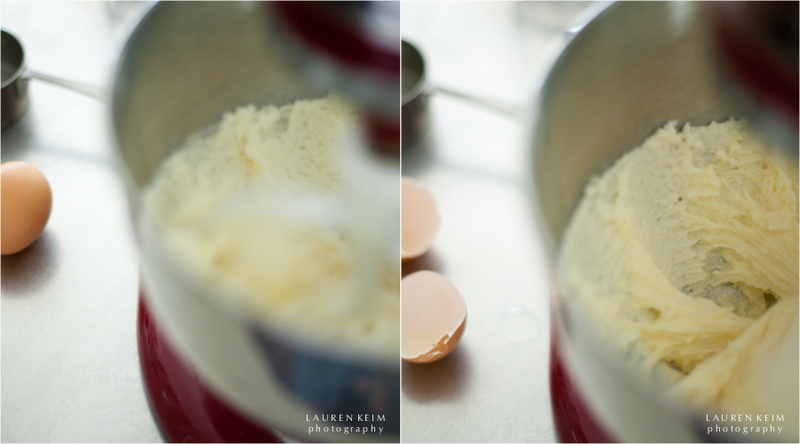 Switch to the whisk attachment and slowly add the cream until icing is of a consistency to spread. Add more sugar or cream as needed.